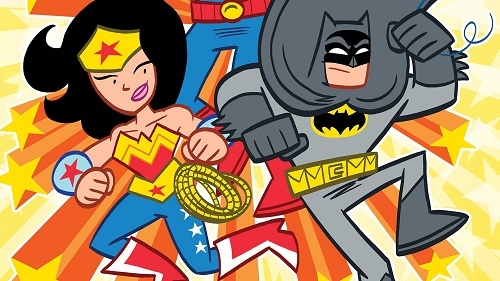 From the creative team behind Tiny Titans, Super Powers is a new miniseries that tells an all ages story of Superman, Batman, Wonder Women and the world’s other greatest super heroes. The 1980s Super Powers comic series deserved a reboot and who more appropriate than the Justice League to be at the center of the adventure. In this miniseries Batman has disappeared. 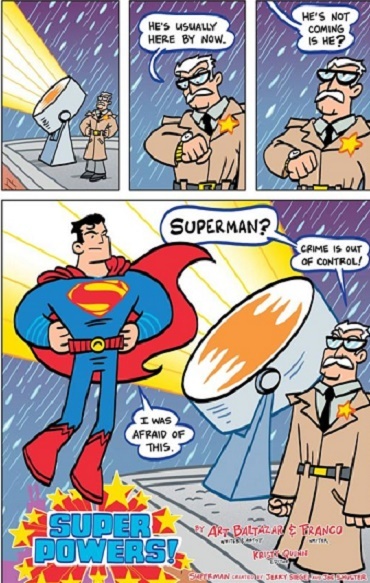 Superman helps out by cleaning up in Gotham City, we are invited to watch the unusual interaction of Superman and Commissioner Gordon. Superman discovers a clue that sends Wonder Woman into space to find the Caped Crusader. Her journey brings her a step closer to Batman, but can she uncover the truth behind his disappearance? Art Baltazar is the writer and illustrator of the Super Powers #1 series and Franco Aureliani is creating the variant covers. Both previously worked on Tiny Titans and Superman Family Adventures. Super Powers #1 will be available from DC Comics on November 23rd.